Use this uniquely smooth anti-wrinkle concealer all day to cover dark circles and protect your delicate eye area from environmental stress. Apply to clean face before you go to bed to fight wrinkles while you sleep and wake up looking fab. Timebalm is packed with beneficial ingredients including Vit. A, C, E, Soybean oil, Panthenol, Linoleic acid and Phospolipids to help you look absolutely stunning around the clock. RETAIL PRICE: Just bought this from a friend, but I think this costs between Php 700-800+. SHADES : Available in 6 shades. * offers medium to full coverage. Really covers imperfections! * a little amout goes a long way. * pot contains a LOT of product. I think this little guy will last me a long, long time. * no spf. MAC studiofinish has Spf 35. * can get cakey after a few hours if not blended & set properly. 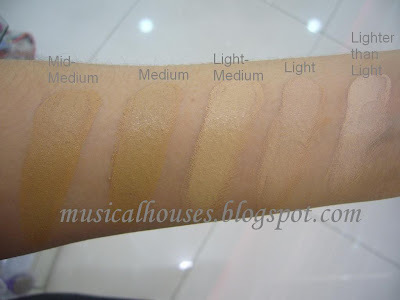 * texture is kinda dry at first but after warming the concealer it goes smooth and easy to blend. 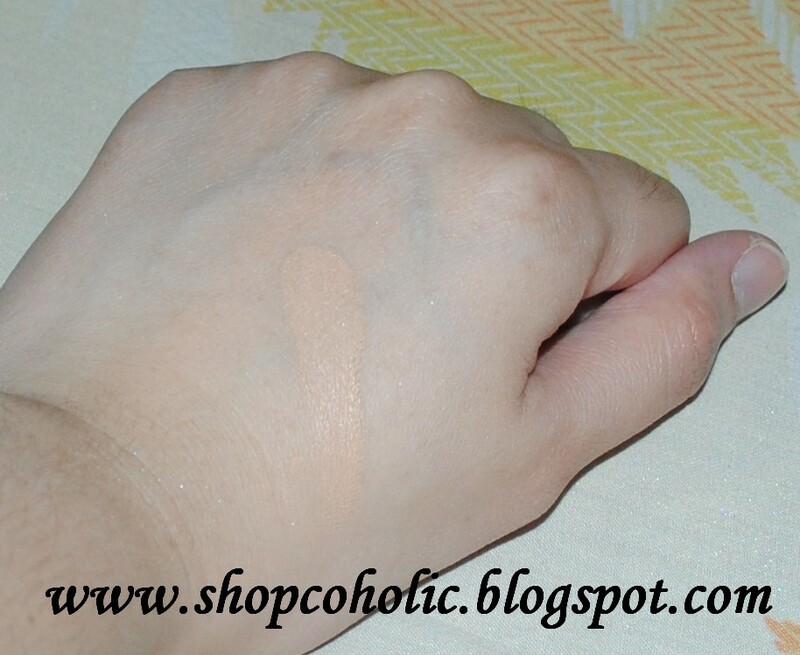 Since this concealer has a dry texture, apply eye cream first to hydrate the undereyes. 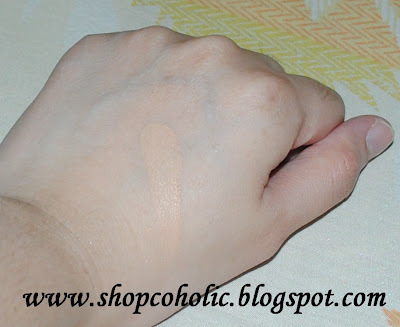 I prefer to use my fingertips in applying since our body heat helps warm up the concealer. Apply a thin layer at a time and gently "pat" until the product blends with your skintone. Set with powder. I sometimes alternate this with my MAC Studio Finish NC20 to cover my dark undereye circles & redness on the sides of my nose. Note: For my undereyes I use a corrector first then layered with a neutral toned or yellowish concealer to brighten. Will not repurchase for now. I have enough concealers to last me for 5 years! LOL But I still love this next to MAC Studio Finish. 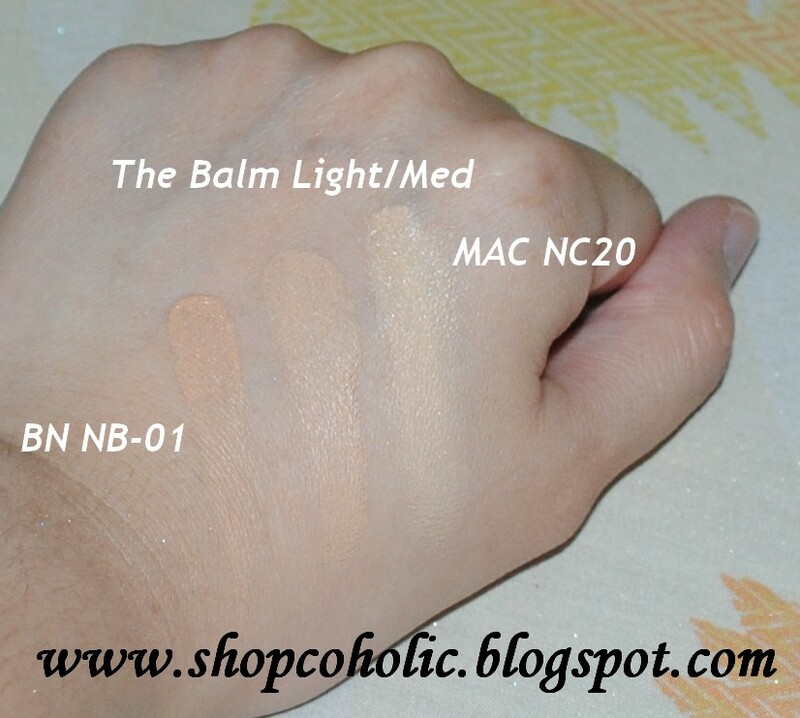 As you can see Light Medium matches my NC20 skintone. 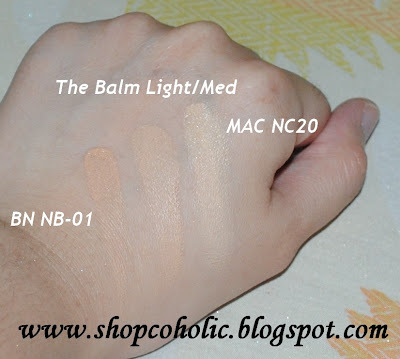 I used the LIGHT shade before but it looks ashy coz of the pinkish undertone, unlike Light Medium that has a slight yellow undertone but not as yellow as MAC NC20. 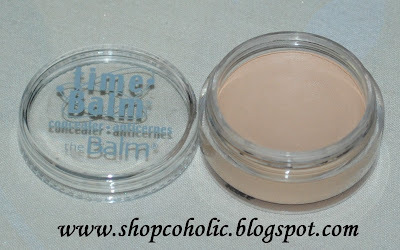 TRIVIA: Did you know that TheBalm Cosmetics just started 5 years ago. The owner Marissa Shipman purchased a few books at Amazon.com on creating makeup and began experimenting. She succesfully mixed her own lip balm, and TheBalm was born. 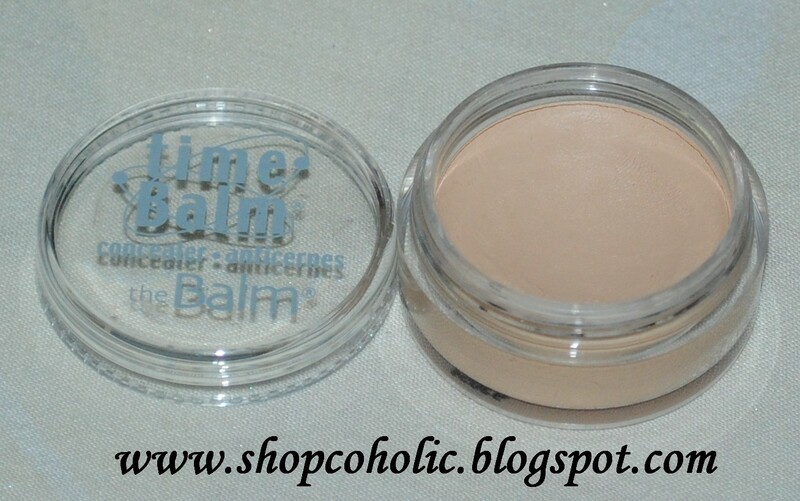 Timebalm Concealer was voted on The View as the number #1 concealer for dark circle coverup. Marissa's Makeup Tip: Never turn to concealers that clog pores and inhibit cell turnover. Instead, go for natural products that go on smoothly, without causing potencial damage to your face. *Source: Preview Magazine Sept 2010 issue. this looks like a great concealer! Wow, i think I want one! No SPF? That's a bummer! All products should have SPF. What do you suggest for my white with pink undertones skin?Light or light_mediu?